This guide is detailed. Detailed means long. Over 8,000 words. If you don’t have time to read it all now, you can download it as an ebook and read it later! Or just save it to keep it for reference. 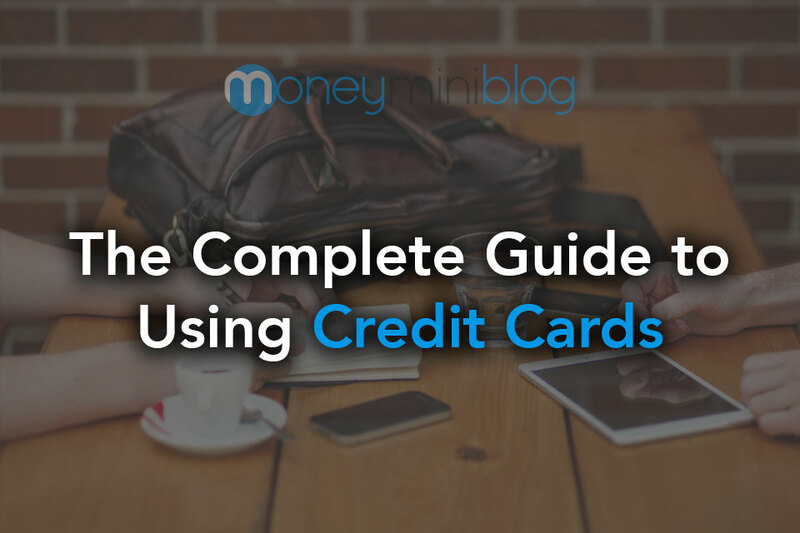 This Guide is Simple – If something doesn’t absolutely have to be included, it won’t be. This is a straight forward guide to starting a blog. This Guide is Honest – Blogging isn’t for everyone, though I wish everyone would do it. I’ll be honest about the work involved with it. This Guide is Transparent – I’m going to be 100% honest all the way down to telling you when I make money from you clicking on a link. The resources in this guide: I have compiled this list of resources over several years of doing my own learning and research for writing and blogging. 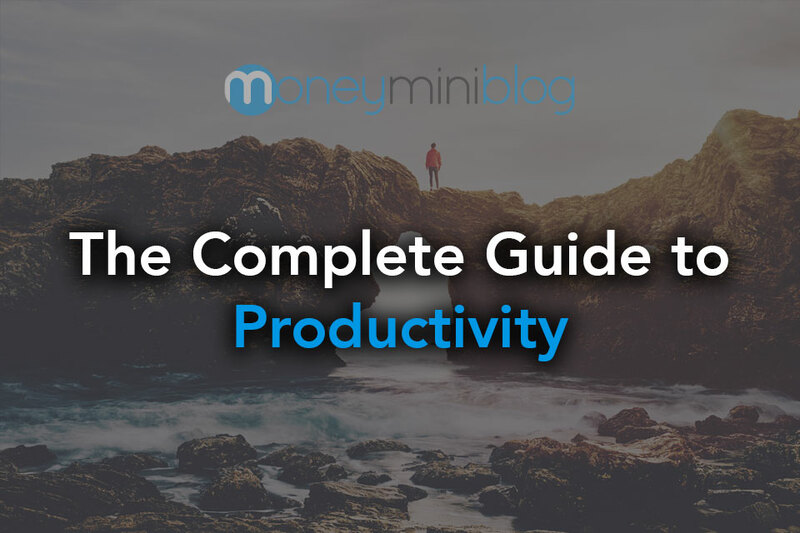 The tools, articles and programs I mention throughout this guide make up my electronic toolbox, full of all the best resources I know of to help you blog. 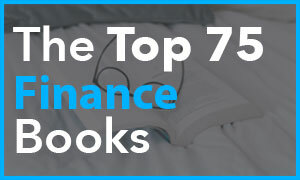 You’ll want to bookmark this guide so you don’t lose any of these resources. I love to blog because you have the entire world for an audience. I love to blog because you grow through teaching things to others. I love to blog because you can do it from anywhere in the world. I love to blog because you have no competition, only friends. I love to blog because it keeps me engaged in my topics. I love to blog because my family supports me doing it. I love to blog because you can earn passive income. I love to blog because it’s just a lot of fun. I love to blog because I love to write. I love to blog because it helps others. You’ve got to find your reason. It could be some of these or none of these, but you need to figure out what motivates you. Blogging is a lot of work. 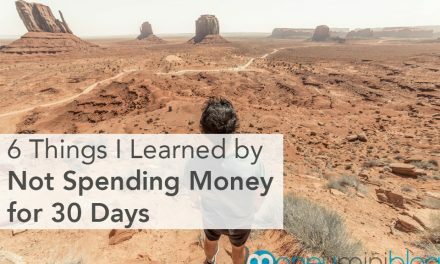 It takes time and dedication before you will ever see your first dollar, but once you put in the work, you will eventually be able to sit back and earn money while you’re not even at your computer. It’s all worth it in the end, but you’ve got to remember that. Starting a blog is easy. There are really just 5 steps between not having a blog and writing your first post. The first thing you’ll want to do is choose a name for your blog. Once you choose a name, you’ll want to see if your domain name (ex: yourname.com) is available. There is a lot of debate over the importance of your blog name (and your domain name), but in my experience and after listening to many successful people on this topic, I don’t believe your blog name is that important. Taking the action of just choosing a name is better than taking months to pick “the right name.” You just need to make sure it’s relevant. A moment of transparency: When you click the link above (or right here) and sign up for hosting with SiteGround, I will get a small commission. This is one of the ways I make money with this blog. It’s called affiliate marketing. More on that later. That being said, HostGator actually pays more money than SiteGround and I could still use my HostGator affiliate link if I wanted to, but I am not making this guide to make as much money as possible, I’m giving you the best tools possible and I believe SiteGround is your best option. If you want to know exactly why I recommend SiteGround, read 5 Reasons That Prove I’ve Found the Best Web Hosting Company. Update: I actually had an agent from BlueHost contact me to try to convert me to using them as my company of choice. 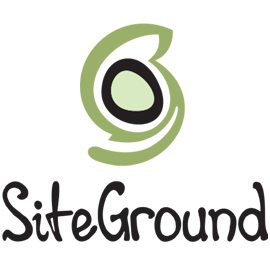 They offered to pay almost double the commission that SiteGround pays, but again, I turned them down, because I honestly believe SiteGround is the best hosting company available to you. There are many blogging platforms out there, including WordPress, Blogger, TypePad and others. I suggest using WordPress. It’s the most popular blogging platform and in my opinion, there is no competition. I don’t know of anything that the other blogging platforms do that WordPress can’t do, but I do know some things that WordPress can do that the others can’t. The choice seems obvious, right? See, and I’m not even getting paid to encourage you to use WordPress. SiteGround actually has WordPress hosting plans. 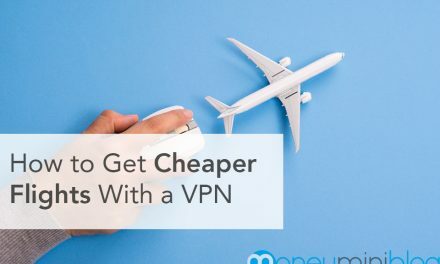 It’s the same as a regular hosting plan as far as what you get, but it will come with WordPress already installed, so as soon as you buy your hosting, you can start blogging. It doesn’t get any easier that that! P.S. For some reason other hosting companies like to charge extra for WordPress-specific hosting. I’m not sure why that is, but SiteGround charges the same. Another great reason to use SiteGround. Right now, you can get access to all 87 of their themes for $69. Most premium themes cost at least that much and with Elegant Themes, you are getting 87 different options. You could change your theme every week if you wanted to (not that I would suggest doing that). That price gives you access to all their themes for a year. If you’re happy with those 87 themes, you can download every single one of them, let your membership expire after a year and still continue using the themes as long as you want, but consider keeping the membership for theme updates. Installing a theme is extremely easy. Simply, go into your WordPress dashboard, hover over “Appearance” in the left menu and click “Themes”. Then click “Add New” at the top, then on the next page click “Upload Theme” at the top and upload your theme zip file. Elegant Themes makes it easy to download the zip file for any theme in their member area. Once you’ve installed WordPress and your pretty new theme, you’re ready to write your first post. First, let me explain the difference between a post and a page. A post is simply a blog or an article…whatever you want to call it. A page is a permanent, usually stagnant, piece of the web for things such as your “about me” section or possibly a “contact” section. Pages don’t change very often, whereas new posts are constantly being added and updated. Also, posts will flow through your RSS feed as you upload a new one, but pages will not. Create your title. You can always change this later, but go ahead and put a title in the title box. 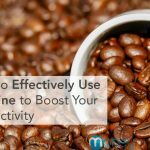 Your title, also known as a headline, is arguably the most important part of your post, because it’s all many people will see. If the title doesn’t drag them in to read your post then it doesn’t matter how good the article is. Write your post. Writing a post is easier said than done, but ultimately, the process is simply to come up with an idea, create an outline with main points, write a sloppy first draft and then edit until you’re happy with it. Change your URL. Under your title you will see an editable URL field. You’ll want to make that “search friendly,” so remove the filler words like “the” or “at” and simplify the title to a few main keywords. 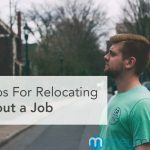 This will help others find your post. You can change the format of your URL, under Settings > Permalinks in the sidebar. Finalize the post. Add your category in the right sidebar. Add some tags. Add a beautiful featured image that will catch people’s eye. That’s a good start for your first post. We’ll talk about plugins and other additions in a moment. That’s it. Choose a name, buy hosting/domain, install WordPress, choose a theme and write your first post. It’s a good idea to play around in WordPress a little to become more familiar with the platform and if you have any questions along the way, don’t hesitate to contact SiteGround’s customer service. They are seriously top notch and can be reached through their website or by calling (866) 605-2484. Email subscription is the most valuable way to promote your articles, products or services. It’s a direct link from you to your readers. If you ever decide to sell your site, the amount of active subscribers weighs heavily into the amount of money you can sell your blog for. It’s easy and actually even free to start a newsletter. There are many paid services, but I would suggest starting with MailChimp. They offer a free plan as long as you have less than 2,000 subscribers, so it’s great for starting your newsletter. Use this link to signup for free and get started today. MailChimp has tutorials to guide you through everything so it’s super easy. Once you’ve signed up with MailChimp, you’ll need to integrate some sign-up forms into your blog. The easiest way to do this is by using a “plugin”. Plugins are uploaded just like “themes”, except you click on “Plugins > Add New” to add them. We will get into plugins more in chapter 6, but for now we’re just going to talk about an email subscription plugin (which may be the most valuable plugin you can install). Elegant Themes offers an amazing plugin called Bloom. That’s what I use and I love it. You can get all of Elegant Themes’ plugins included with their themes for an extra $20 on top of the price I mentioned above. It’s highly worth it. Bloom allows you to add subscription forms that pop-up, embed in the page, slide in or show up at the bottom of each post. I love the versatility. However, if you don’t want to pay for a plugin to add subscription forms, MailChimp offers a few ways to add the forms. However, the best free way to do this is with the Sumo plugin. Most bloggers start off by having their blog as their homepage. This is perfectly acceptable, and it is the default in WordPress, so you don’t have to change anything to do it. If you decide you want something specific to show when people go to your homepage (like mine), you can set it to a specific page; it’s called a static page. You can go to Settings > Reading, from your WordPress dashboard, to change your homepage to a static page of your choice. I wouldn’t worry about this in the beginning. I would focus more on creating great content. Now let’s talk about the most important part of your blog: your writing. When I first started blogging, I didn’t realize the importance of being a good writer. It may seem obvious, but you’ve got to work on your writing skills to write the amazing content you want to write. Now I love to write and I consider myself a much better writer than I used to be. I was pretty horrible at first and I didn’t even realize it. In this chapter, I’ll show you how to improve your writing skills and make money while doing it. I’ll even show you exactly where to go to get paid to write and I’ll give you all the resources you need to become an expert writer – you’ve just got to be willing to put in the time. 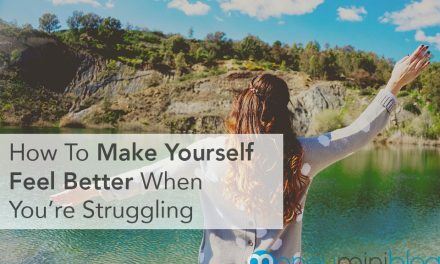 How do you become a better writer? You write. There’s no shortcut. You write as much as possible – everyday is best. You write when you don’t feel like it and when do feel like it. Make friends with other writers so you can share your work and get feedback. Writing comes with practice like most things that are worth doing. The ultimate goal, especially with a blog, is to write how you speak. That’s much easier said than done. You’ve got to write all the time to find your voice in the words. You can even try a speaking program like Dragon NaturallySpeaking Home that will actually type the words as you speak them. Some people prefer to write like this, but the end goal is to be able to write exactly how you speak whether you have a speak-to-write program or not. Grammarly is like spell-check for grammar. You can simply install it as a browser extension in Google Chrome and it will automatically start highlighting and checking your grammar. It’s so useful that I actually learned a few things about grammar just by seeing my mistakes. 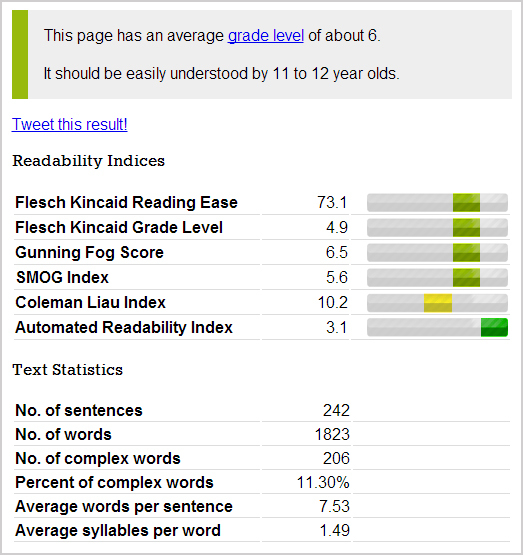 The Readability Test Tool allows you to type in a domain name and see how easy the content is to read. Your content should be as simple as possible and this test will help you determine that. 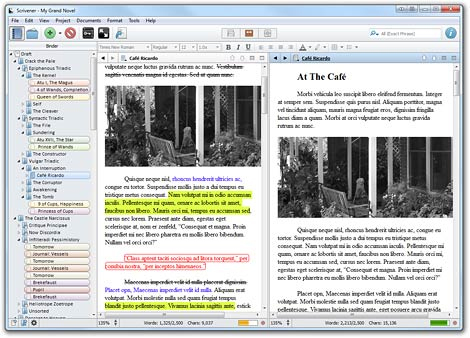 Scrivener is the ultimate writing platform, whether you’re writing a blog post or a 400-page book. The best part is that you can try it for free. Scrivener offers a 30 day free trial that only counts the days you use it. So if you use it everyday, you have the program for 30 days. If you use it twice a week, it lasts fifteen weeks. Plus, you can always export all your writing before the trial expires if you decide to discontinue using it. By the way, if you decide to buy it, it’s only $40. Eventually you’ll want to include images on your blog. 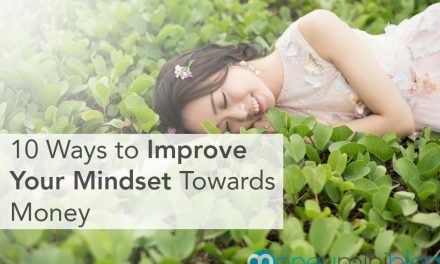 You may want header images for each post, images within your post and other images around your website. That’s great, because images can really break up content and make it easier to read. But be careful, you can’t use just any old image you find searching the web. There are rules. You’ll want to find images that you are free to use. Sometimes images require attribution, which simply means you’ll need to put a link somewhere in the post showing where you got the image from. Some don’t require attribution at all, though it’s still a nice gesture to do it anyways. When you start searching for images to use, you’ll see the Creative Commons License start to pop up. That’s basically just a license that dictates how you use the photo and how you provide attribution. Many of the resources I’m about to share will not require attribution, but for the ones that do, you can read more about the Creative Commons License here. Now for some places to find free images! * Denotes that it’s one of my go-to places to get images. Obviously it doesn’t matter how wonderful your blog looks if nobody visits your site. The reason I chose to wait until chapter 4 to mention blog traffic is because I want you to understand the importance of having a solid foundation. 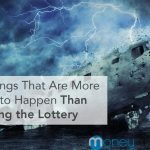 Before you really starting worrying about getting more visitors, you need to make sure you’ve got something worth visiting. Improve your writing skills and really create a resource, first. You can build traffic in a variety of ways. We’ll go over guest blogging and how it really does work in a moment. But there are many, many ways. Ultimately, one of your main goals with building traffic is getting your content out there on other websites for people to see, and then building links back to your blog. Another important aspect is blog commenting. Commenting on other blogs isn’t the best way to build traffic, but it’s a great way to connect with other bloggers in your arena, so start finding other similar blogs and start building relationships. Search Engine – When someone searches for a specific term or phrase, your website may come up as an option. 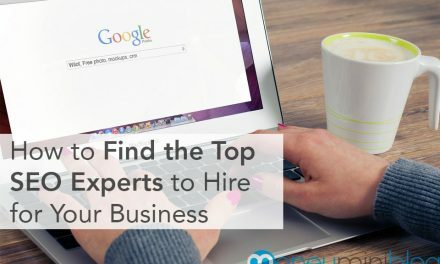 If you want to rank higher in the search engines, you’ll need to learn a little bit about Search Engine Optimization (SEO) and how Google ranks websites, but blogging is not all about keywords and writing for robots. Referrals – When someone sees a link to your site in an article or on a blogroll and clicks on it, you just received referral traffic. This is some of the most valuable traffic you can get, and it’s relatively easy to get this once you start working on your writing skills. Direct Traffic – When someone types your blog URL into their browser, the are going directly to your website. Hence the name, direct traffic. This could be from word-of-mouth advertising or a random business card, but this also includes someone clicking a link in an email, like your newsletter. There are different views on whether you should primarily write for search engine traffic or social media traffic or referral traffic. I say just write. 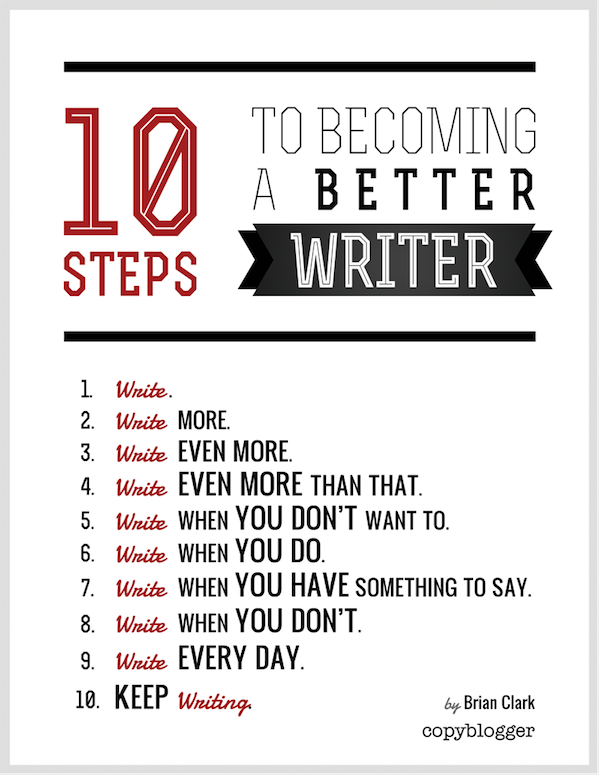 Become an amazing writer. And then write. Don’t write like a robot to include certain keywords, and don’t write about the hottest topics just to get social media traffic (unless that’s really what you want to do). Write about what you’re passionate about and you’re more likely to stick with it, because traffic doesn’t come overnight. I don’t consider myself an expert on writing viral articles, but I have noticed that people talk about getting 100k views as a huge success, and I’ve had articles get 100k social media shares, which means millions and millions of views. I may not be the authority, but I am, arguably, an authority. Ramit Sethi says how you’re writing is actually much more important than what you’re writing. William Zinsser says, in On Writing Well, “You can make anything interesting, if you write well enough.” You must have the writing part down before you start trying to build a huge audience. I’ve seen it happen a hundred times where someone’s article goes viral and they get a million views to their blog within a few days. But due to their poor content, only about 20 people stick around for the long haul. In the end, if you write consistently and well, for a while, it will pay off. And that doesn’t just mean writing on your own blog. One of the most powerful ways to get traffic is by guest blogging. Once your foundation is set in place and you have a great blog for people to see, start guest blogging like crazy. Of course, you’re going to hear about how guest blogging doesn’t work anymore, and how it’s a waste of time. Nonsense. Here’s the deal: guest blogging purely for backlinks on a bunch of spammy blogs with terribly written articles is a waste of time. That has never worked well. If it drives traffic to your blog, it’s not the traffic you want. But guest blogging on reputable websites, whether high profile websites in your niche or multi-topical websites like LifeHack, Huffington Post or Business Insider, guest blogging works. I’m not going to link to a million guides and articles. Those six should keep you busy for a while. This is where it gets interesting. A blog isn’t necessarily a money magnet on its own. You can have 10 million readers and not make a dime. 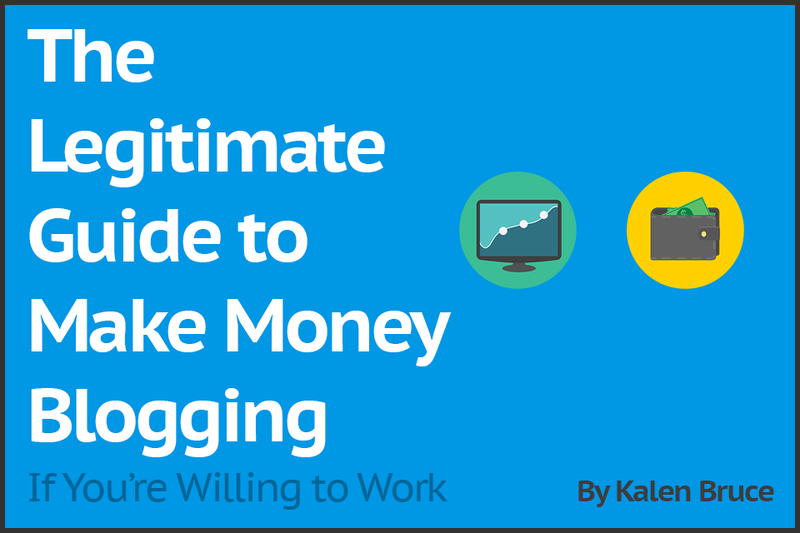 Getting people to your blog and making money from your blog are two totally different topics. You can make next to nothing with a huge audience or you can make a comfortable living with 10,000 readers a month. 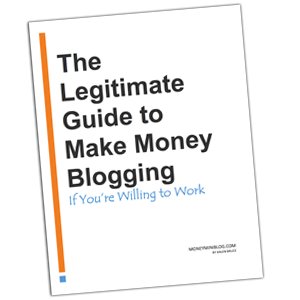 It has everything to do with how you choose to monetize your blog. This is definitely the most known way to make money with a blog. It’s also starting to become the least common way. You can sell direct advertising spots on your blog or you can sign up with a company like Google AdSense or Media.net. Either way, you won’t see a whole lot of money from ads until you have a serious number of views. You can make money with ads by how many people see your ads (CPI – Cost Per Impression) or from how many people click on the ads (PPC – Pay Per Click) or from how many people follow the link/ad and buy/sign up for the product or service (CPA – Cost Per Action). This falls into the CPA category for getting paid. There are many affiliate networks, such as FlexOffers and CJ Affiliate that allow you to promote other people’s products and services. I’ll tell you about more affiliate networks in a moment. You simply put a link or a banner on your page and then you get a percentage if someone clicks through and buys the product/service. This is effective and one of my favorite ways to earn. I suggest only linking to products or services you’ve personally used and know are good. The last thing you want to do is damage your reputation. Many people have created a paid membership area on their blog. This is typically for exclusive content that you can only access in the “member’s area.” If you have a really great idea on what to include, this can be a great idea. Of course, it must be something that people can’t easily find elsewhere on the web for free. One example would be to create a very detailed, professional video series on a subject, and charge a small fee to access all the videos. Another (and more popular) option would be to create a members are with direct access to you through things like webinars. At that point you’re basically selling yourself. You can create your own product, such as an ebook, film or computer software. You would then use your blog as a promotion tool to get people to buy your product. You don’t have to have an incredible amount of traffic to make this option work. You just need a very good product and an even better system of marketing your product. If you create a seriously awesome product, you’ll want to spend just as much time and money creating a seriously awesome marketing plan for your product. This could be done through your blog and through other avenues. You can offer a paid service, such as life coaching, blog coaching, goal setting or financial planning. Just be sure to investigate all the legal implications and make sure you’re not claiming to be a professional if you’re not one. Again, you’re selling yourself here. Whatever service you provide, make sure it’s high quality and consistent. If you claim to post an article every Monday and you miss one, it’s not a big deal. However, if someone is paying for a service and you don’t hold up your end of the bargain, you’re going to have trouble. There are two very different types of sponsored or paid post to be addressed. One type is where a company will pay you to publish an article about their company or a certain product. This is usually going to be in the form of an article related to their company. 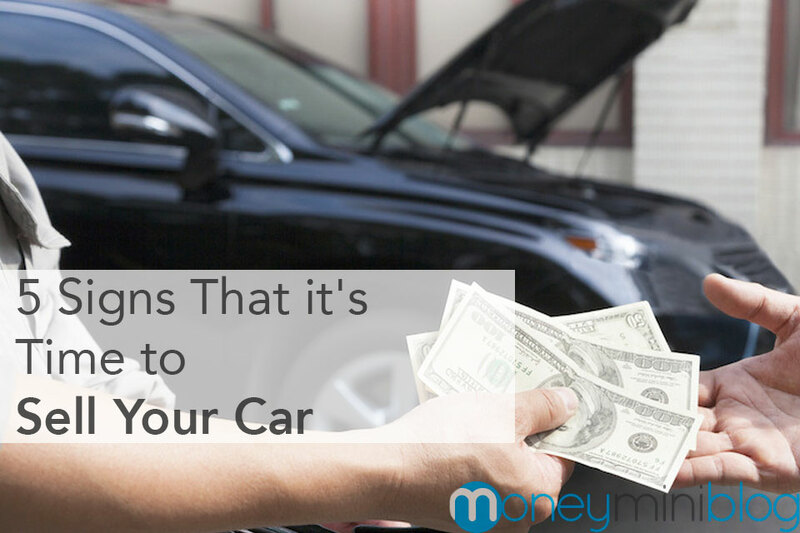 For example, a car part company could write an article for your blog about “How to Find Cheap Car Parts Online”, and then they would include a link to their own website, as well as others. The more legitimate form of this is where you start the post off with a disclaimer that the post was written by the company, and then people expect them to mention their own brand. The more sketchy type of sponsored post is when someone wants you to publish an article under your name and just include a link to a certain website. This is basically the same as selling a link on your blog, which Google is highly against, because it messes up their algorithm. You’ll start seeing a lot of the latter type of offers as you get more and more traffic, but beware! 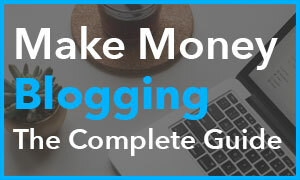 While this can be a highly lucrative form of monetizing your blog, you don’t want to jeopardize your blog or your brand for some money now, when you can be making much more legitimate money down the road. The wait is worth it. If you think of something valuable (newsletter, online magazine, etc.) that you can consistently offer on a certain basis (weekly, monthly, etc. ), you may want to offer a subscription service. This could be a fee charged each time your product is sent out or on a monthly basis. Either way, this has to be something that your customers can only get by subscribing to your website. This is just like magazine subscription services, only digital. This could be an entire section on it’s own. Many people have made money by creating YouTube videos. Evan of EvanTube is a kid and he has made millions by creating reviews of products that other kids his age would use. It’s not easy to get views into the millions, but once you do, you’ll start seeing some cash come in. Many bloggers have completely turned to videos to get their point across by starting a video blog. Feel free to start an entire video blog (Vlog), but make sure you’re set up to record professional videos. You’ll also want to polish your speaking skills and actually have something worth talking about. It’s a good idea to have a formula to keep you on track. For example, you could use a 10/1 formula. For social media, that means you share 10 valuable posts from other peoples’ websites to every one of your own posts. For your newsletter subscribers, you could send 10 completely informative, non-profitable emails for every one email asking for something or promoting your product. If everything you share and send out is to earn you money, people will pick up on that, and it won’t work. At least, not for long. If you truly want a committed audience, be real, be transparent, and serve your audience. That will lead to earnings down the road, but remember, it’s going to take a lot of work before the money starts coming in. But once you do start earning money, it will be some of the most rewarding work you’ve ever done. Not to mention, it will most likely be passive income. Sounds like a win-win to me. 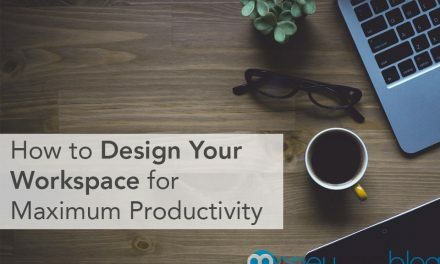 I’ve already given you several resources for your blog, but in this chapter, I’m going to organize some of the resources I already mentioned, and list many more resources to help you build your blog. You don’t want to overload your blog with plugins, because that can dramatically decrease loading speeds. However, a few solid plugins won’t affect speed very much, and they can make everything easier for you and your readers. This isn’t an exhaustive list, but I think it’s pretty impressive. I have used most of these plugins. I use several of them now, and others have served me well in the past, but are no longer necessary. Adsense Click-Fraud Monitoring – Monitors and prevents malicious clicks on Adsense ads. Could prevent an exclusion from your Google Adsense account. Affiliate Link Cloaking – Cloaking your affiliate links and tracking the hits and unique visitors of each link. Better Click to Tweet – Add click to tweet boxes to your WordPress posts, easily. Google Analytics – This plugin makes it simple to add Google Analytics to your WordPress site, adding lots of features, e.g. error page, search result and automatic outgoing links and download tracking. Monarch – An extremely versatile and comprehensive social media plugin with so many different options and ways to display social media share buttons. P3 (Plugin Performance Profiler) – See which plugins are slowing down your site. Create a profile of your WordPress site’s plugins’ performance by measuring their impact on your site’s load time. Pre-Publish Post Checklist – With Pre-Publish Post Checklist, you’ll never have to worry about accidentally publishing a post. Pro Categories Widget – Pro Categories Widget plugin.You have choice to specific categories exclude. Quick Adsense – Quick Adsense offers a quicker & flexible way to insert Google Adsense or any Ads code into a blog post. Revive Old Posts – WordPress plugin that helps you to keeps your old posts alive by sharing them and driving more traffic to them from Twitter, Facebook or LinkedIn. It also helps you to promote your content. You can set time and no of posts to share to drive more traffic. S3 Media Storage – Store media library contents onto S3 directly without the need for temporarily storing files on the filesystem/cron jobs. This is more ideal for multiple web server environments. Shortcodes Ultimate – Supercharge your WordPress theme with mega pack of shortcodes. Editorial Calendar – The Editorial Calendar makes it possible to see all your posts and drag and drop them to manage your blog. These are all tools that I either use or have used. Buffer – Schedule across multiple platforms. Dlvr.It – Schedule and share on multiple platforms. Hootsuite – Several social media tools in one tool. JustRetweet – Mutual sharing for multiple platforms. Status People – Find your fake followers. Socialoomph – Scheduling and friend/follower management. Tweepi – Another Twitter friend manager. TweetDeck – Twitter account management. Twiends – Connect with people on Twitter. Twitlistmanager – Manage your Twitter lists. Twitter Counter – Twitter statistics. TwitterFeed – Auto-post your own and friends’ updates. Twitter Tools – Exhaustive list of Twitter tools. These are programs I’ve worked with or currently work with. Flex Offers is my main one. I’ve chosen to only list the guides I’ve actually read. Again, these are all books I’ve actually read and recommend. These are all of the blogs about blogging that I subscribe to. Copyblogger – Tips on blogging, writing, and specifically copywriting. Elegant Themes Blog – All kinds of blogging topics, and free resources. 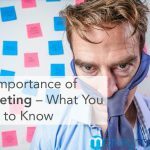 Moz – Great information for marketing your blog. OkDork – Noah Kagan’s marketing blog. Very valuable information. Problogger – Awesome, practical ideas and tools to grow your blog. Quicksprout – Very detailed blogging articles, published often. Search Engine Journal – Great information about getting search engine ranking. SEO Book – Awesome search engine information. 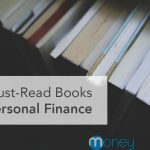 Smart Passive Income – Very detailed articles, published occasionally. Smartblogger – Long, detailed articles about everything blogging related. Fight the urge to subscribe to more than about 10 blogs like this. There is enough information on the above blogs to keep you busy for a while, and there is no need to overwhelm yourself with information. Plus, the more you subscribe to, the more you take a chance of getting bad information. Don’t blow off this chapter. It’s some of the most important information in this entire guide. And it’s not that long! I want to briefly touch of the importance of ethics. It’s very important to follow a set of ethics or principles in your blogging. 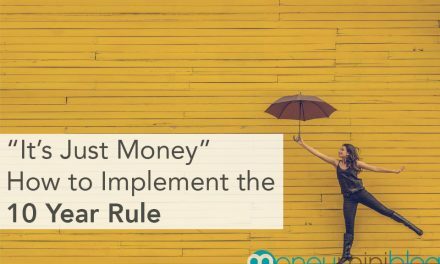 For example, if you decide to accept sponsored posts, or any guest posts on your blog, set principles and guidelines for the contributors. The last thing you want to do is compromise your character, and the character of your brand. For example, if you’re running a fitness and nutrition blog, you wouldn’t want to publish a sponsored post about the importance of daily donut eating, just to make a few bucks from the sponsored post. In blogging, you want to be real and transparent with people. People will have to trust you to keep coming back. You never want to lose that trust, so make sure you’re doing this for the right reasons. 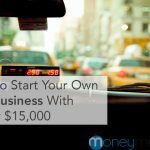 I’ll tell you right now, if you want to start a blog just to make money, find another side hustle. Blogging isn’t for you. You can create niche sites and make money from advertising, but that is very different from blogging, and from being a respected blogger. 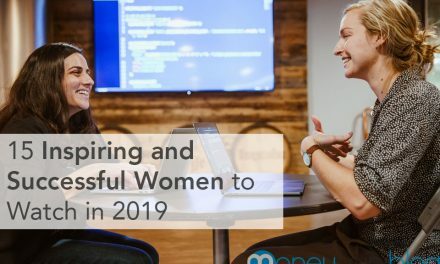 If you want to blog to help others and connect within the blogging community, then you’re doing it for the right reasons. The money will follow if you keep at it, but it’s by no means a quick buck. And when money is your first priority, you won’t produce your best content. Just make sure you’re blogging respectfully, and for the right reasons. Now on to the legal stuff! Legal Matters – Disclosures and Policies and Terms, Oh My! I know, very original names, right? This would be where you would explain that you are not a professional (unless you are). It’s important to protect yourself, because once you get going, you’ll have a lot of content on your blog. Some of it may even be from other authors, and you don’t want to be held responsible. People understand that reading blogs is a good way to get information, and most people accept the fact that bloggers aren’t certified experts, but cover yourself legally with a disclaimer. You can view mine here, it’s part of my Terms and Conditions. This is exactly what it sounds like: a disclosure of your affiliate partnerships. If you don’t have affiliate partners, don’t worry about this part, but it’s vital if you do have them. You are required by law to have an FTC Affiliate Disclosure if you have any affiliates on your website. Always play it safe and make sure you have all the disclosures you need. Be honest and transparent with people — that’s the only way to have continued success. If your blog involves anything legally, do your research and get the proper disclosures. For example, since I am not a certified financial expert, like a CPA or a CFP, I have to include that in my disclaimer (in my terms). Copyrighting is protecting your content — your words. Technically, it’s just the process of being able to prove your wrote something first. Once you publish a blog, it is copyrighted to an extent, but if you’re concerned about other people stealing your work, get a professional copyright. Usually you won’t have to go the legal route, because it’s not that big of a deal if people do steal your blog content, and most people give credit where credit is due. 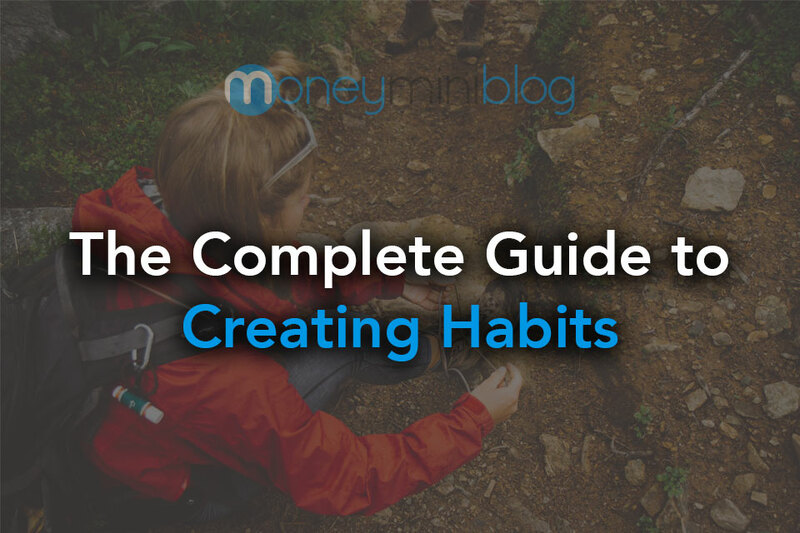 Zen Habits is an example of a blog that gives permission to everyone to do what they will with the author’s content. That’s another option, and I don’t see anything wrong with it, unless you’re paranoid. Start a blog and just start consistently writing to increase your writing skills — that’s what will help you become a successful blogger and a successful writer. Don’t worry about what people think about your writing (unless you’re constructively using the criticism), just start writing to get better. For yourself. Stop waiting, get started now; now is always the best time. Happy blogging! I will see you in the comments below! This guide is for informational purposes only. I am not a financial or legal professional, or a professional of any kind pertaining to this guide. Some of the links on this page are affiliate links, which means that I make a small commission if you buy something through clicking the link. However, I only recommend products or services that I personally use or have used and that I believe are truly worth your money. Many of the links on this page are not affiliate links. I want to provide you with great resources whether I make money from them or not. Read more. Incredible post Kalen. I’ve had my blog for about 2 years now but have been blogging more as a hobby. 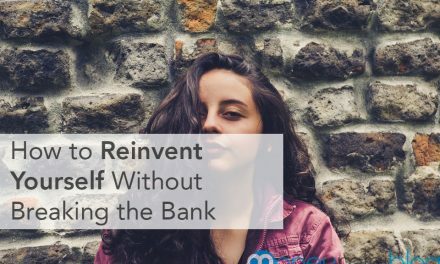 I’m looking to generate some more income beyond GoogleAds and revamp my page so this post is timely. Bookmarking! I love everything about blogging. There are so many options for fun and income out there with blogging. Thank your for posting this. 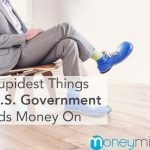 There are a lot of sites out there that cover this topic, but it is too hard to figure out which ones are legitimate. I’ve followed you for awhile, so I appreciate this. Hope you turn this into an eBook too. Awesome! Thank you! I have considered turning it into an ebook and elaborating a little more with personal stories. You may have just influenced me to follow through with that decision! Wow! I am amazed with your post Kalen. I’ve learned so many things about blogging. It’s a form of a review. Yay! I hope I could start blogging as soon as possible. Thanks for the tips! Thanks for stopping by! I’m glad you enjoyed it, Kelly! 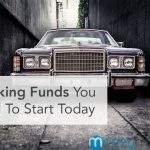 it was a good guide for beginners,while i was new to internet earnings.i have came across so much difficult to find how we can earn but you made it clear with your posts for newbies to understand well. OMG, Kalen! This is a great post on blogging guide. Been blogging for some time, and I got some lessons out of this this to help increase my blog income! You should definitely make an e-book on this. Good luck buddy! Awesome! I’m glad you enjoyed it! I just might make this into an ebook! So I got a chance to read the full article now. 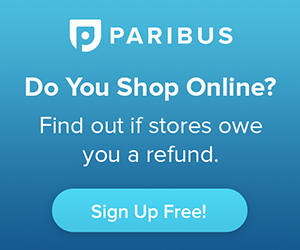 I always thought wordpress.com could not do ads, that only ads could be done on wordpress.org which required programming. So thanks for clarifying that. 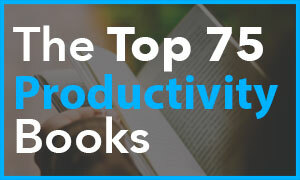 Also, I’ve noticed a lot of blogs, including yours, offer free e-books. What is the financial reason for that? Great question! The idea is to offer a free, valuable gift to entice people to sign up for your list. Of course, you must continue to send out valuable information to keep people on your list. Thanks for clarifying on the free e-books. So there isn’t some money making involved in the actual e-book, via ads or something like that? I wondered because both your site and other sites seem to push the e-books with popups. Actually I just removed the pop-up (for now anyways) a few days ago. But yes, some authors make money off the affiliate links in the e-books (I don’t think I have any in my e-book at the moment), but the main purpose is to get you to subscribe. The affiliate links in e-books aren’t going to be a huge source of income, since only about 1%-5% of your viewers will subscribe, on average. This is one of the best guides I have ever seen! I am checking my sites readability now! Thanks so much for sharing. This article is killer. So well written and comprehensive! 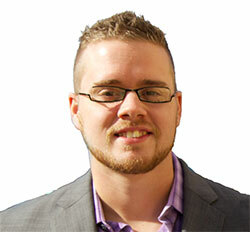 I just stopped by to take a look at your SEO rom the RSF and your site is crushing it! I learned a lot reading this myself and I’ve been blogging awhile. Thanks for putting this together. Thanks so much for doing that for me! I’m glad you loved the guide. I am in your debt if you need anything as well!